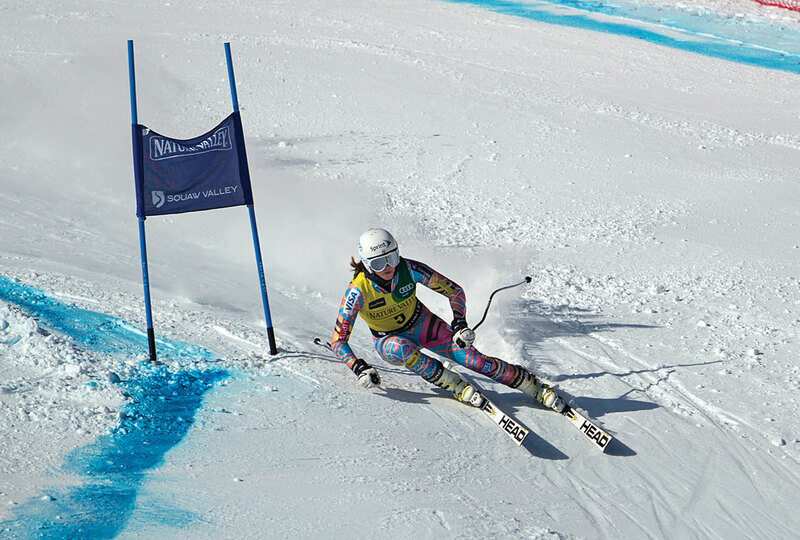 Julia Mancuso races on her home mountain at Squaw Valley. Photo by Ryan Salm. On Friday, the best athletes in the world will convene in Sochi, Russia, for the opening ceremonies of the XXII Olympic Winter Games. Representatives from the Lake Tahoe region, certain to be in attendance, will travel some 6,000 miles—a quarter-way around the planet—to arrive at the Black Sea resort city. The Sierra Nevada made these skiers and snowboarders ready to speed, bump, slalom and jump down the snow-capped peaks of the Caucasus Mountains. For the athletes attending, the Winter Games aren’t an occasional opportunity, but the result of years—often decades—of rigorous preparation: years of pushing oneself to go a little harder, a little longer, a little faster; overcoming injuries and opposition; obtaining sponsors; trading free time for training time; and competing in dozens or hundreds of qualifying events, World Cups, X Games and other races. The U.S. Olympic teams were officially selected at the Grand Prix in mid-January. To qualify, an athlete must first land a top 30 position at a World Cup event and achieve a minimum FIS (International Ski Federation) point total, which varies within disciplines. From there, athletes are determined based on their top two results out of the five Olympic qualifying events (the Dew Tour and four Grand Prix). Though some think they know who will make the final cut, “there are always surprises and it is very hard to speculate who will be on the team,” says United States Ski and Snowboard Association (USSA) press officer Justine Spence. Within the discipline of alpine skiing, events include downhill, super-G, slalom and the super combined. Sochi’s Rosa Khutor Alpine Resort—which boasts a vertical drop of 5,774 (more than a mile)—will host the races. Former Olympian Bernhard Russi designed the race courses, just as he designed every Olympic downhill course since 1988. The possibility looks good for Sullivan, who earned a third-place finish at the Lake Louise Audi FIS World Cup downhill last year, his first podium since 2009. 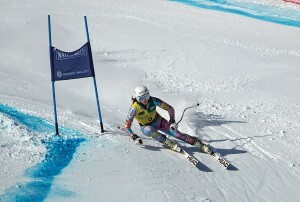 Cook finished 19th in downhill and 23rd in giant slalom. Cook arrived in Vancouver ready to race. Unfortunately, less than a week before the Olympics, she lost control on a jump during a snowy training run and flew into the safety netting, then had to be airlifted off the course. Despite her concussion, she returned to the slopes just a few days later and finished 11th in the downhill, the same event where Americans Lindsey Vonn and Julia Mancuso* took gold and silver, respectively. Other possible Lake Tahoe alpine skiers include Mancuso (“Super Jules” to fans), the most decorated Olympic female American alpine skier at three medals—a gold in the giant slalom from the 2006 Winter Olympics and silver medals in both downhill and combined in 2010—and her Squaw Valley Ski Team teammate Travis Ganong*. Other names to watch out for include Squaw skier Nick Daniels and Reno native Tim Jitloff*, who races with the Park City Ski Team, as well as Bryce Bennett, Keith Moffat and Foreste Peterson, all members of the Squaw Valley Ski Team, and Incline Village’s Lila Lapanja. Snowboarding events such as halfpipe, slopestyle and snowboarder-cross, parallel giant slalom and parallel slalom take place at Sochi’s Rosa Khutor Extreme Park. 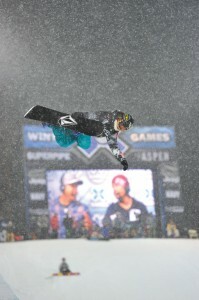 Elena Hight at Winter X Games 2013. Photo courtesy ESPN. Watch for her signature double backside alley-oop rodeo, which she became the first snowboarder—male or female—to land during a 2013 SuperPipe X Games competition in Aspen. The move earned her a silver medal. “I think that will be the most influential part of my riding to watch for,” she says. Teter prepares for a race with visualization and stretching; her training involves agility, core and balance exercises. A Vermont native, Teter attended her first Olympics at the 2006 event in Turin, Italy, where she won gold in the halfpipe; she won silver for her 2010 performance in Vancouver. “It was the craziest moment of my life,” says Teter of winning gold, “where I excelled beyond my wildest dreams. It’s an indescribable moment that will be burned in my brain forever.” She used her winnings and founded Hannah’s Gold Maple Syrup, which, between proceeds from the syrup and Teter’s competition winnings, funds projects, such as a clean water effort, for the impoverished town of Kirindon, Kenya. Another big name in the halfpipe world, 27-year-old Shaun White* already boasts two gold medals for his halfpipe performances in Turin and Vancouver and more than a dozen X Games gold medals in slopestyle and superpipe. White aligned himself with the Northstar California Pro Team in 2011 and spent the past few winters training at the resort’s 22-foot superpipe that he helped design. He injured his ankle while practicing at a qualifying event in New Zealand in August, but hopes to qualify for both halfpipe and slopestyle. The 2014 Games mark the Olympic debut of slopestyle for both snowboard and ski. Slopestyle competitions take place on a course of rails and jumps where athletes perform tricks. 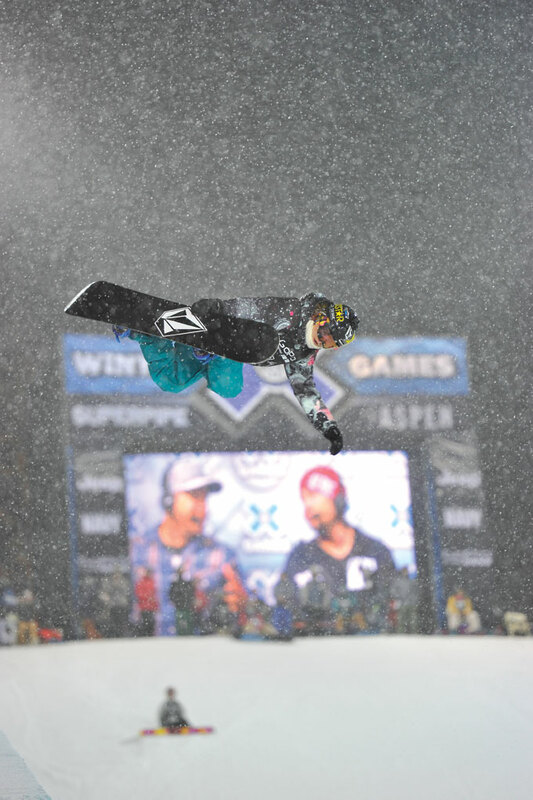 Besides White, other local slopestyle contenders include White’s Northstar teammate and Reno native Chas Guldemond*, Truckee resident Ryan Stassel and South Lake Tahoe’s Jamie Anderson*, who won X Games gold four times in slopestyle, and medaled seven times in the past eight years. In snowboarder-cross, watch out for Squaw Valley’s brother duo of Nate* and Pat Holland. Within the overarching term “freestyle,” recognized Olympic events include moguls, aerials and ski cross. Mogul skier Sho Kashima moved to South Lake Tahoe, just five minutes from Heavenly, at age four and got his first ski pass that year. A graduate of George Whittell High School, the 27-year-old Kashima now attends school at Westminster College in Park City, Utah. A torn ACL in his left knee in January 2010 ended his efforts at the Vancouver Winter Games; in January 2012, he tore his right ACL, meniscus and broke his right knee. In the two years since, Kashima has recovered from his injuries and hopes to compete in moguls in Sochi. Kariotis spent the summer on the water ramp—a ski jump into a pool that allows athletes to practice in warm weather and land on the relative softness of water versus packed snow—in Park City, and trained on-snow at Mt. Hood, Oregon, and Whistler, British Columbia. Tahoe City skier Scotty Bahrke hopes to compete in aerials. Bahrke followed his older sister, Olympic 2002 silver medalist and 2010 bronze medalist Shannon Bahrke, into the sport and onto the Squaw Valley Freestyle Team. In 2010, after an injury to another skier left an opening just five days before the competition, Bahrke joined as a surprise addition to the men’s aerials team. Bahrke came in 23rd in his debut Olympic event; this past summer, he, like Kariotis, spent time on the water ramp, allowing him to dial in flips and twists he hopes to display in Sochi. Within the freeskiing discipline, Olympic events are divided into halfpipe and slopestyle, both of which debut in the 2014 Games. South Lake Tahoe native Maddie Bowman* has skied for about 18 years, ever since her second birthday. She found her first major successes in 2012, and this year, won X Games gold in the halfpipe, as well as first place in two Grand Prix events. Reno resident Alison Bender is waiting for the day that standing around and cheering while drinking hot chocolate becomes an Olympic event.